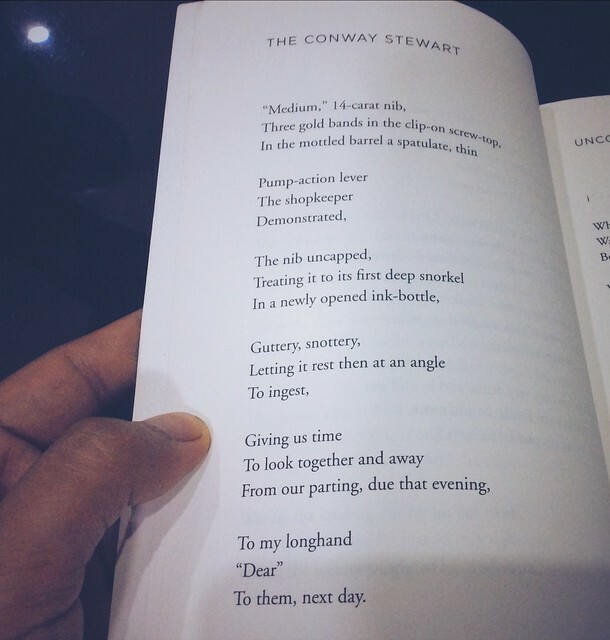 For Valentine's Day, here's Seamus Heaney's "The Conway Stewart," which appears in his collection, Human Chain. Ah, fountain pens and parting. I often feel dumb reading poetry. What does "To them, next day." mean? Me, too! This is me being pretentious! Whaaa...! That makes the 5th and 6th stanzas clearer now but how is one to deduce that without knowing the context beforehand? I guess I'd have to read it a coupla dozen times to even come close to the meaning and I don't have the patience for that.